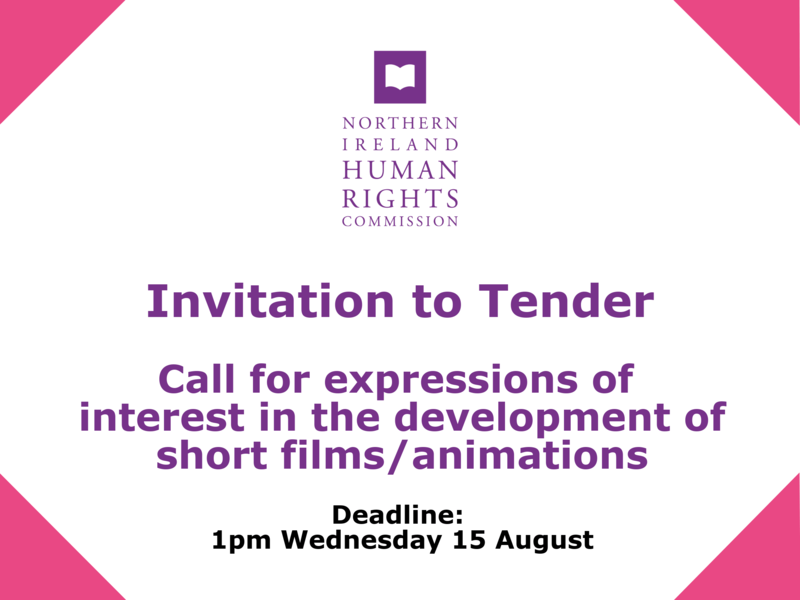 The Northern Ireland Human Rights Commission would like to draw your attention to the attached tender for the development of short human rights animations. You can access our brand guidelines here. The closing date for quotations is 1.00pm on Wednesday 22 August 2018.